Last week I wrote I Didn’t Go to Church Today and explained why I thought that wasn’t a sin. I wanted to be transparent with you about how I live as a Christian. And I wanted to share a little about what Protestants have traditionally called, Christian Liberty, or Liberty of Conscience. Martin Luther first brought attention to this topic in On Christian Liberty, 1520, and you can find a brief and very helpful summary in Chapter 20 of the Westminster Confession of Faith, 1647. But, today I did go to church and I want to tell you why. I’m a Slave to Christ. 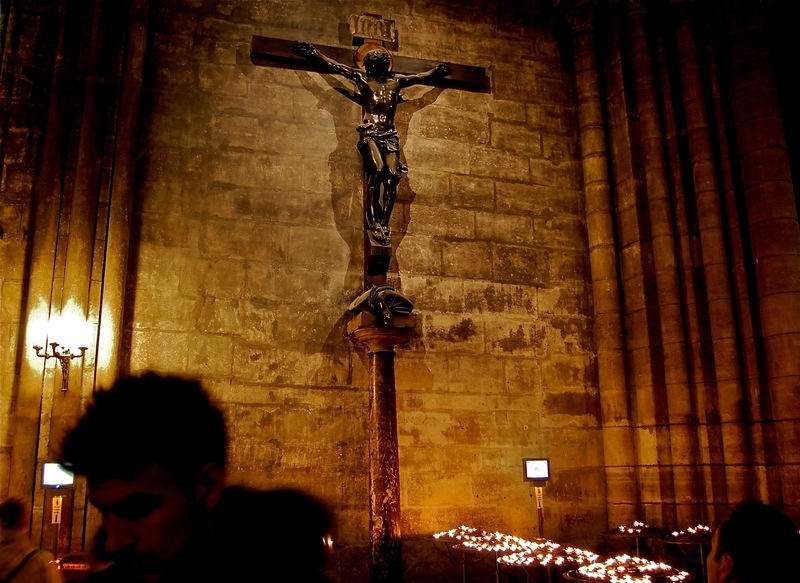 A slave to Christ?—Hmmm… that doesn’t sound very modern, does it? Nor, does it sound very free. Nevertheless, that’s what I am: Christ’s slave. Voluntarily. Joyfully. Freely, though, not very faithfully. (More on this later). Let me explain the concept of slavery to Christ very simply: When Christ saves you, He saves you for Himself. When the gospel sets you free, it sets you free for Jesus: His fellowship, His lordship, His mission. And therein you receive both a gift and a calling. Christian freedom is, and must be, a Christ-centered freedom. The key takeaway here is that Christ bought me with his blood, freeing me from sin and death, freeing me to take up my cross, follow Him, and serve His gospel mission and message. So, What’s This Got to Do with Church? I went to church today to hear that I am loved and accepted by God because of Christ’s faithfulness, and in spite of my own unfaithfulness. Christianity is the one religion that continually tells the unfaithful in her ranks: There’s still a place for you here with the Father. There’s still an open door to the kingdom of heaven. Fear not, for Christ has been faithful for you and is always faithful to you. So, I went to church today to worship with other unfaithful slaves, and to remember all that God has done for us in Christ. We remember not just that we are free, but that we are free for Him. We want to encourage your friends, fans and followers to trust our great God, even when life isn’t so great. Use the buttons below, or copy and paste the link to share this post with your friends. Such a blessing to read this today, Lon. Thank you for your posts.